XAW044803 ISLE OF MAN (1952). "Metropole" Hotel Ltd., Queen's Promenade, Douglas, Isle of Man, Isle of Man, 1952. Oblique aerial photograph taken facing North. This image was marked by Aerofilms Ltd for photo editing. 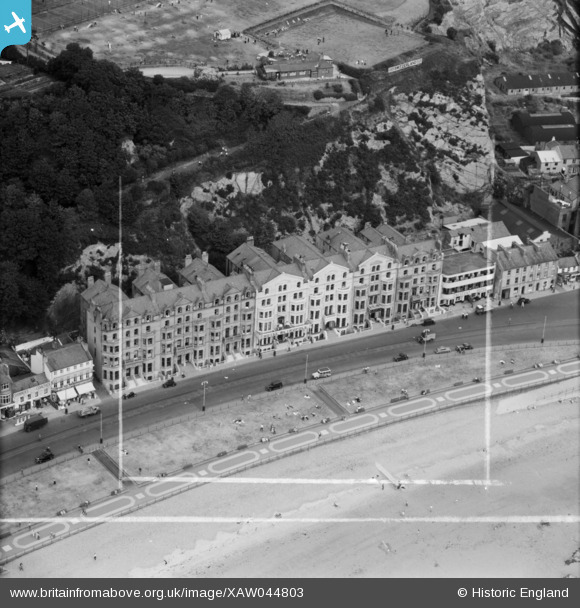 Title [XAW044803] "Metropole" Hotel Ltd., Queen's Promenade, Douglas, Isle of Man, Isle of Man, 1952. Oblique aerial photograph taken facing North. This image was marked by Aerofilms Ltd for photo editing.